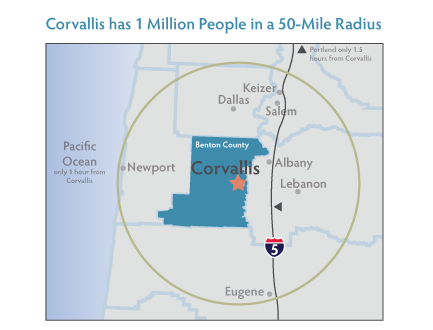 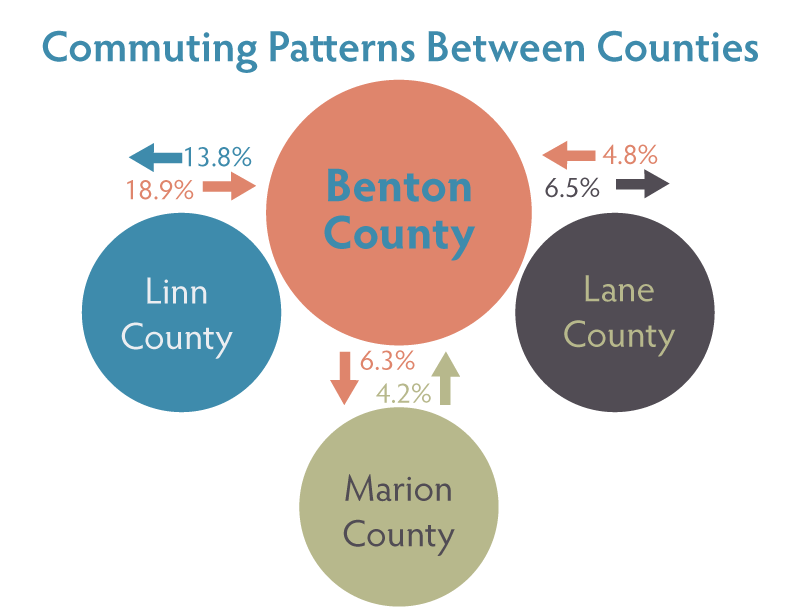 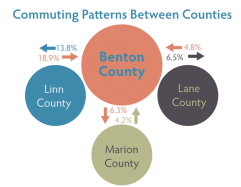 A commuter radius of 5 counties, there is ample room to find the workforce you need. 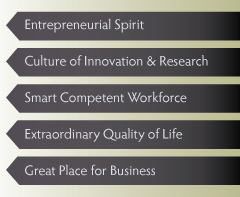 All the people and talent your need for your business to grow and thrive! Trimble found the workforce they needed to sustain and grow their Corvallis offices for Devices and Software.